Stuttgart is the cosmopolitan capital of the Baden-Württemberg region, in Germany. With a population of over 597 000, it is a beautiful city with green spaces, gorgeous parks and historic architecture. Stuttgart offers you the chance to enjoy a memorable holiday experience in Europe. The top attractions of this destination include the Mercedes-Benz Museum, Wilhelma Zoo, and Schlossplatz. Get ready to explore this wonderful metropolis, because cheap flights to Stuttgart are now available for a limited time! Stuttgart is the home of Stuttgart Airport (STR), which is a 20-minute drive or a scenic train ride from the city centre. Stuttgart Airport serves a number of airlines, including Lufthansa, Swissair, British Airways and KLM. Popular connecting flights are available from Johannesburg to Stuttgart. The flight duration is approximately 12 hours and 20 minutes. 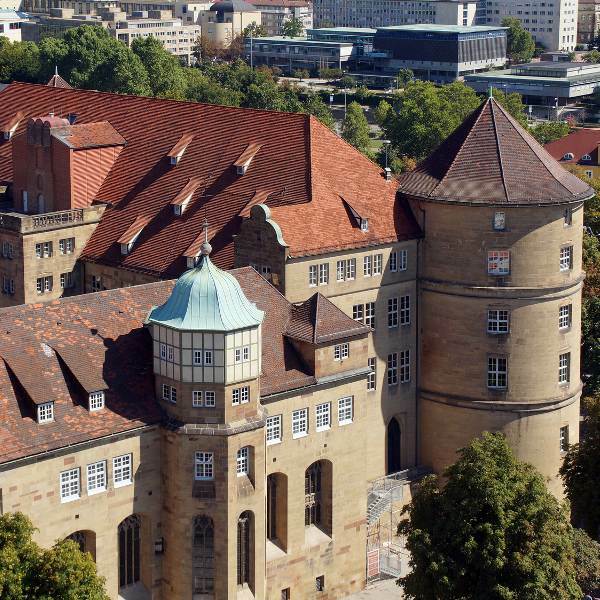 Discover Stuttgart’s rich past with its historic sites and museums, such as the New Palace and the Porsche Museum. 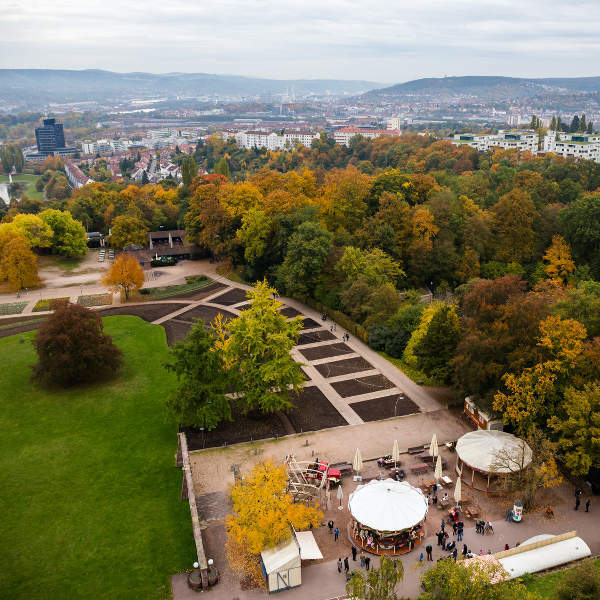 The Palace gardens, numerous luscious parks, and beautiful green spaces ensure that you will have a gorgeous setting in which to enjoy a holiday in Stuttgart. A visit to Stuttgart would not be complete without a trip to the shops and restaurants around the magnificent Schlossplatz. The most popular time to visit Stuttgart is in the summer (June - August). The temperatures range around the mid-20s and it is expected to rain around 12 days each month. The weather makes this a perfect time to explore this German destination, be sure to book your accommodation in advance, since this is the main tourist season. You’ll also have to explore the city’s attractions with bigger crowds of tourists. If you wish to enjoy Stuttgart with cooler weather, plan your trip for the late spring (May) and early autumn (September). The temperatures are still warm during these months (around the low 20s), while the nights are cold, with an average of 7°C. The benefit of visiting during this time is fewer tourists, so you can enjoy this German destination’s attractions at your own pace. Treat yourself to an exceptional holiday experience in the German metropolis of Stuttgart. Nestled in a basin and surrounded by breath-taking orchards and forest-covered hills, it is a city steeped in history, additionally offering you its many green spaces and a wealth of sights. 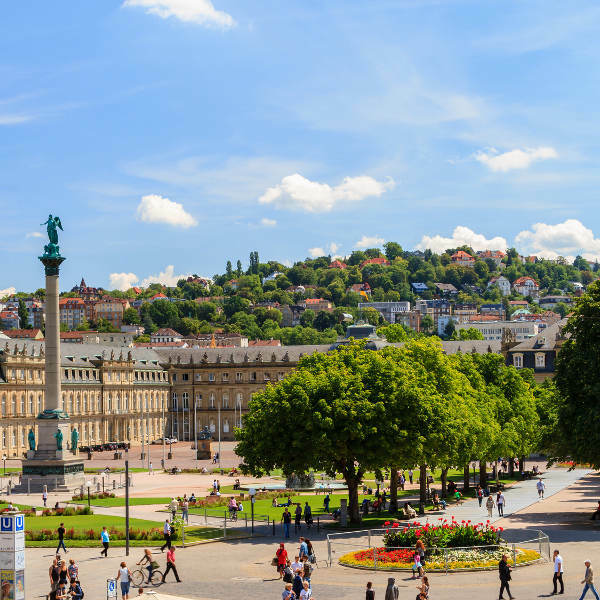 Explore Stuttgart’s past with visits to the State Gallery, the New Palace, and the Mercedes-Benz and Porsche Museums (Mercedes and Porsche additionally have their headquarters in Stuttgart). Shop as much as you’d like and indulge in a scrumptious meal at the large number of stores and restaurants around Schlossplatz (Palace Square). Nature lovers can take tours around the Wilhelma Zoological and Botanic Garden or enjoy adventures through a part of the Black Forest! Compare several airlines, and book your cheap flights to Stuttgart online at Travelstart! You will need a Schengen Visa to visit Stuttgart and the rest of Germany. Make sure you have enough time for visa processing since this process can take up to a few days to be completed. Passports may not be older than 10 years, must have 2 blank pages and be valid for at least 3 months beyond your date of departure from the Schengen state. Make sure to be cautious while enjoying a holiday in Stuttgart. Never go out alone at night and during the day, keep your valuables in a safe place and out of sight to prevent becoming a victim of pickpocketing. At tourist centres, beware of the old ball and cup game, which is an infamous scam; two con artists (one posing as the dealer and one posing as a tourist) will try to trick you into thinking you can double the money you bet, but once you start playing, they rig the game so that you lose all the money you placed. Before your trip (at least four to six weeks), get all the routine vaccinations, as well as vaccines for hepatitis A, hepatitis B, and rabies.